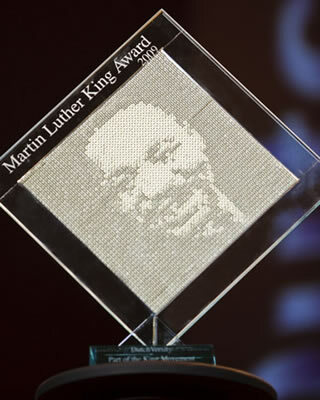 Annually there is a presentation of the Martin Luther King Lifetime Achievement Award which goes to somebody who lives by the six principles of non-violence. Martin Luther King Lifetime Achievement Award presentation is done by: A unique event aimed on creating an international movement that brings people together, and connects people to work for a better world. A surprising 'movement' which shows that in time of change, inspiration turns into innovation. The event is a combination of comedy, education, job/internships possibilities, (inter)national live music from top artists and many more. The highlight of this spectacular evening is the Dr. Martin Luther King Lifetime Achievement Award ceremony. The President/CEO of The King Center (Atlanta, Georgia, USA) Mr. Isaac Newton Farris presents the award. Further, the evening will be covered by (inter)national media like: CNN, BBC, NOS, FunX Radio and others.